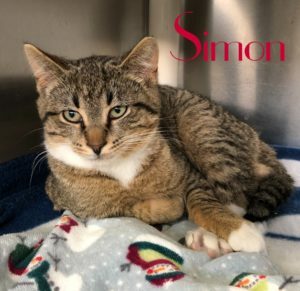 Simon is a gorgeous, playful tabby and white boy, born on 9/1/18. He was rescued by Last Hope, and lovingly fostered before his arrival at our Wantagh Center. He is now seeking a forever home and a special person to love. Come meet Simon and he’ll show you what a sweet boy he is! This entry was posted in Adopted, Cats, Male, Under 6 Months, Wantagh Adoption Center. Bookmark the permalink.